Pictured Jamelle Peterkin's one year old son with a plastic bag over his head. 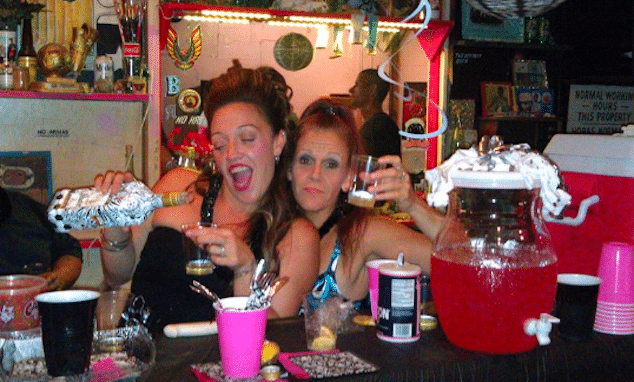 Screen shot. Pictured Jamelle Peterkin’s one year old son with a plastic bag over his head. Screen shot. 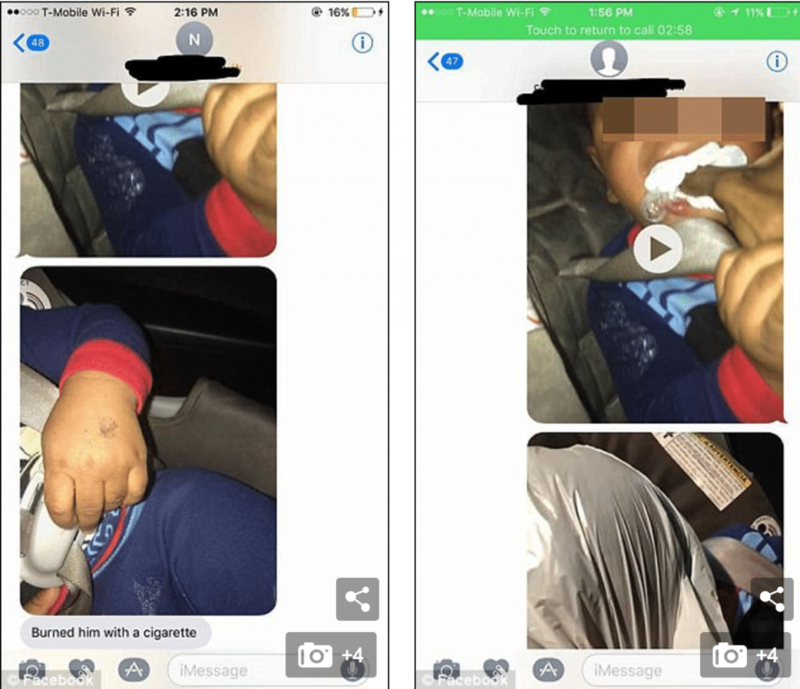 Jamelle Peterkin a Texas mother ordered to stay away from her baby son after placing a plastic bag over the boy’s head and filming and sharing video of it. 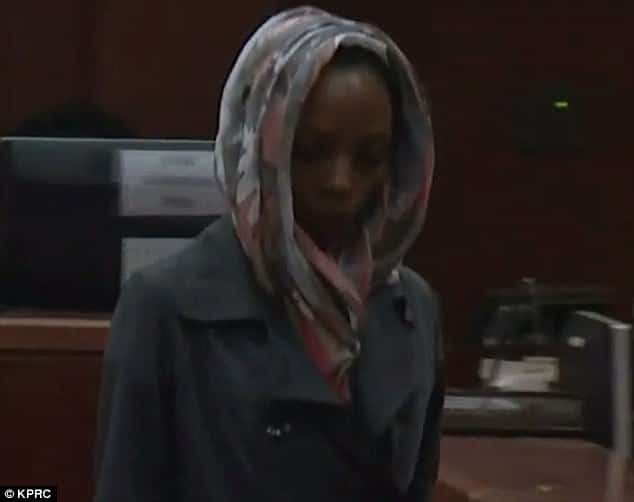 Jamelle Andrea Peterkin a 23 year old Humble, Texas mother appeared in court Monday after having tied a plastic bag over her one one year old child’s head and filming it. Addressing the courtroom the Houston area mother said she had abused her child and sent video of the abuse to relatives because she was upset the child’s father had a new girlfriend. The woman’s appearance in court came after having earlier been charged with endangering a child after disconcerted relatives notified authorities. 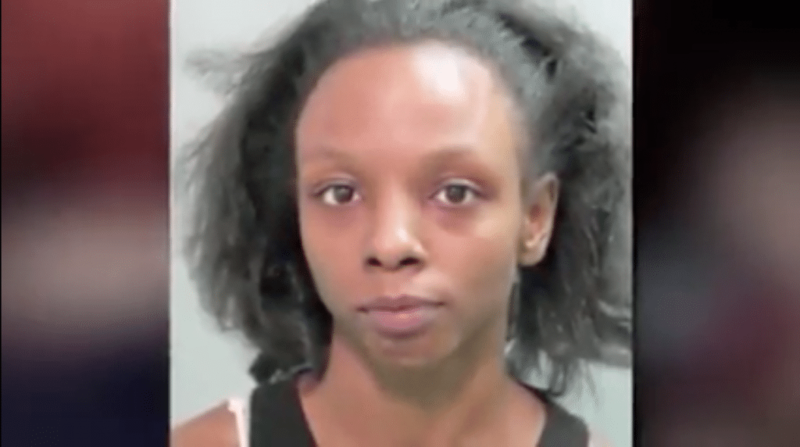 The boy’s aunt, Ra’Neicha Broadnax, said that in recent days she received videos and pictures from Peterkin also showing the child being slapped and having a lighter held to his fingers, ABC13 reported. Records show Peterkin also placed a plastic bag in the child’s mouth. 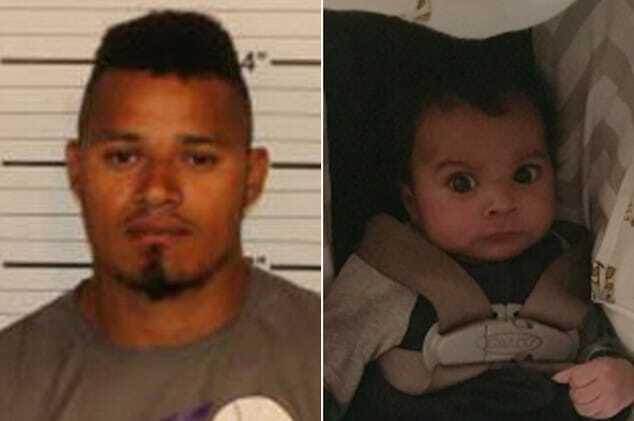 The aunt, who said she began receiving the messages on April 13, said Peterkin indicated she was angry about the father’s new girlfriend. Pictured, Jamelle Peterkin appearing in court on Monday. 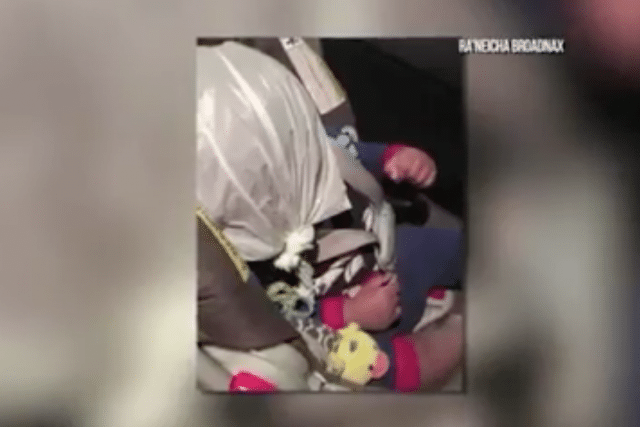 Officers said they saw video of the toddler experiencing difficulty breathing as ‘an adult hand was seen stuffing a plastic bag’ into his mouth and a photo of the boy ‘with a plastic bag over his head’ tied in a knot, Click2Houston reported. A text message she sent accompanying the plastic bag photo read: ‘Sad that he pressed to cheat after he just begged me to be his girlfriend. Court documents said Peterkin failed to take the child to a doctor or hospital. The child’s father was also sent evidence of the abuse. Pictured Humble, Texas mother, Jamelle Peterkin’s son whom the woman abused after her ex boyfriend started dating a new woman. Pursuant to her arraignment, Peterson was released on $15,000 bond with terms stipulating that the woman must stay at least 200 feet away from her son as an order of protection was written. After being released on bail Monday, Peterkin had to find a new ride home. 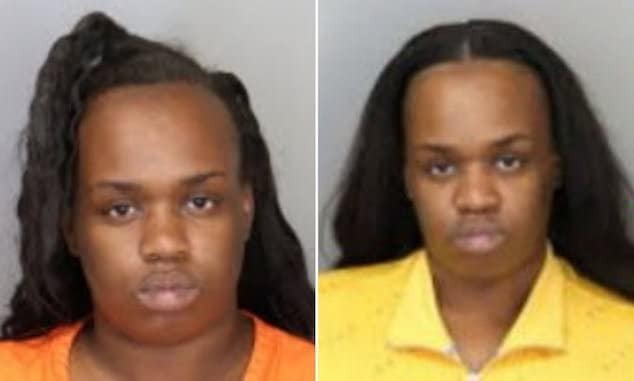 Her mother, who had planned to pick her up, had the child with her, she told the judge. 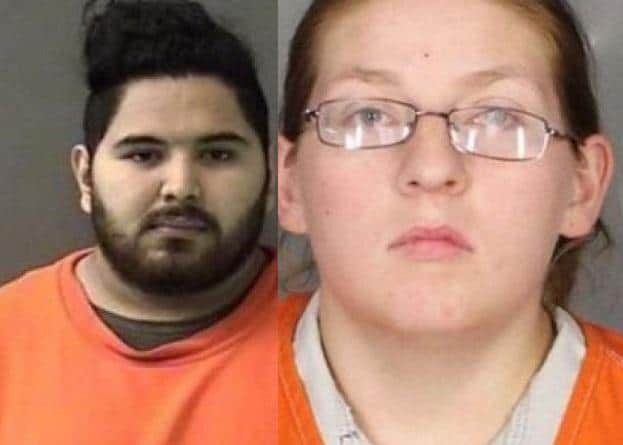 Responded the judge: ‘You’ll have to find someone else, because if you get within 200 feet of the child while this order is pending, she’s going to have to bring that child to 701 San Jacinto to visit you because you’re going to be in jail’. Pictured video stills that Jamelle Peterkin had sent relatives.